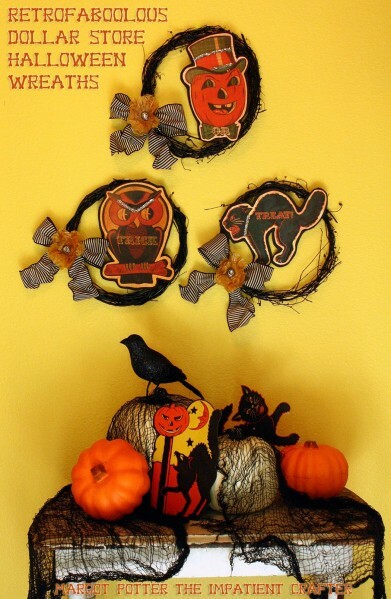 Margot, The Impatient Crafter, created these fun vintage looking Halloween wreaths with supplies form the dollar store! Talk about fun and inexpensive!! These are definitely the cutest dollar store Halloween wreaths I have ever seen! You can check out how Margot made these vintage inspired dollar store Halloween wreaths over at Dollar Store Crafts. Thank you so much for the kind words and the linky love.